‘Tis the season of rocking a bold lip! Winter is a great time to be a bit more daring with your lip color choices. With that being said, it’s important to have a smooth surface for your lipstick to be applied to. Chapped lips + Lipstick are a big NO-NO! For me, just applying a lip balm before my lipstick, isn’t enough. I like to go one step further and really make sure that my lips are as smooth as possible before applying any color to them. While I mainly use the following techniques for when I’m applying a darker lip color, they can be used to help your chapped lips too! Simply take a baby wipe and swipe it back and forth on your lower lip 3-5x, and repeat on your upper lip. Wait until your lips have dried before applying lip balm & lipstick. This is the easiest and least expensive way to prep your lips for lip color! Apply the same amount of vaseline as you would toothpaste to your toothbrush. Next, take the toothbrush and gently move it in a back and forth motion on your upper & lower lips for 20 seconds (10 on lower, 10 on upper). Now, move the toothbrush in circular motions on your upper & lower lips, once again for 20 seconds (10 on lower, 10 on upper). Once lips are smooth, use a washcloth/towel to wipe off the excess vaseline. *The amount of time you scrub your lips for, is up to you! It could be less than 20 seconds, it could be more … It’s all about personal preference! This is my favorite technique to use. Not only am I achieving luscious lips, I’m also plumping them as well! How can you pass up bigger lips in seconds?! Channel your inner Kylie Jenner, and try this technique out. 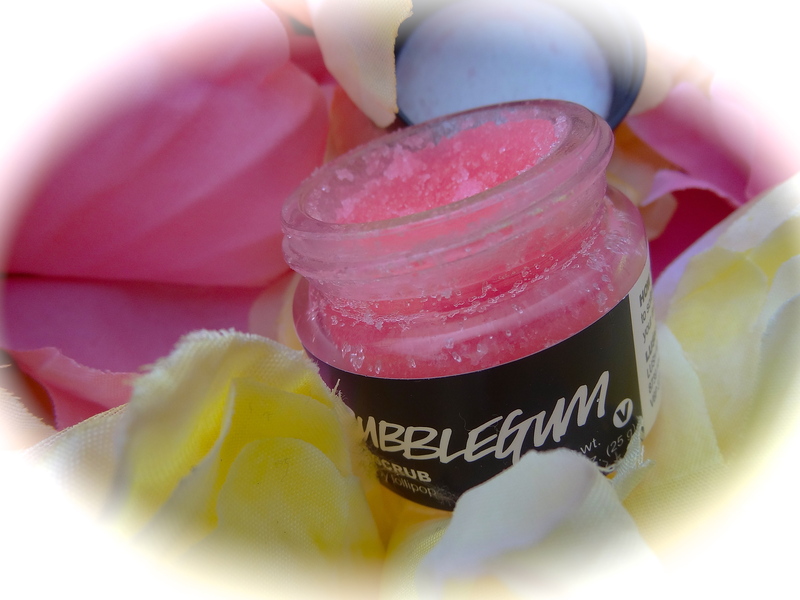 The lip scrub I’m currently using is the Bubble Gum Scrub from Lush Cosmetics. After applying the desired amount of product to my lips, I rub them together until smooth, and then lick off the excess. *Using a scrub is an easy way to get smooth lips fast, but be warned that they can be messy! Don’t want to splurge on buying a lip scrub? Make one of your very own, at home! I found a great article : Say Goodbye to Chapped Lips With These 23 Homemade Lip Scrubs from Brit & Co with awesome DIY recipes for your at home scrub. Definitely check it out. Make sure to apply your favorite lip balm after each of these techniques. I hope you guys enjoyed this post! If you try any of my techniques, be sure to let me know. Have a favorite holiday lip color? Share it with me on Facebook, Twitter or Instagram!